I made this quilt also in anticipation of my first baby. 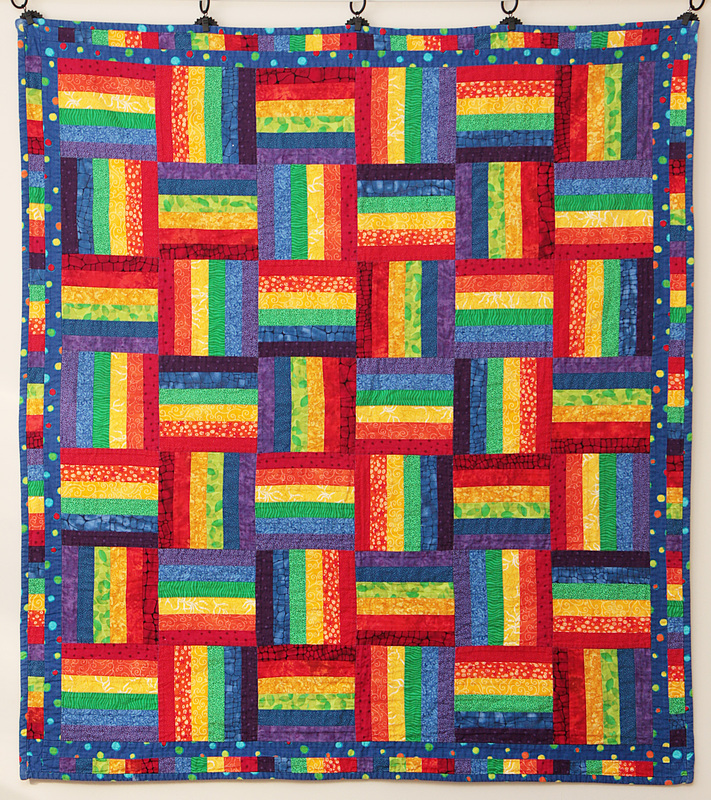 I bought rainbow fat eighths sets from Jo-Ann fabrics, cut them into strips and strip pieced them. I had lots of fun with randomizing the various prints, and I was especially pleased to be able to use the leftover bits from the string piecing in the border.